SOURSOP LEAVES Natural Dryed, Collected One to One, Leaves with total active ingredients, full handmade procesed, Biological Control. SOURSOP LEAVES, Natural Dryed, Collected One to One, full handmade procesed, Biologic Control. Origin: Mama Maria farmings · Guimar· Tenerife · Canary Islands. Spain. The Europe largest plantation of SOURSOP. Mama María dried SOURSOP leaves are collected ONE to ONE, selecting the most optimal and mature quality. 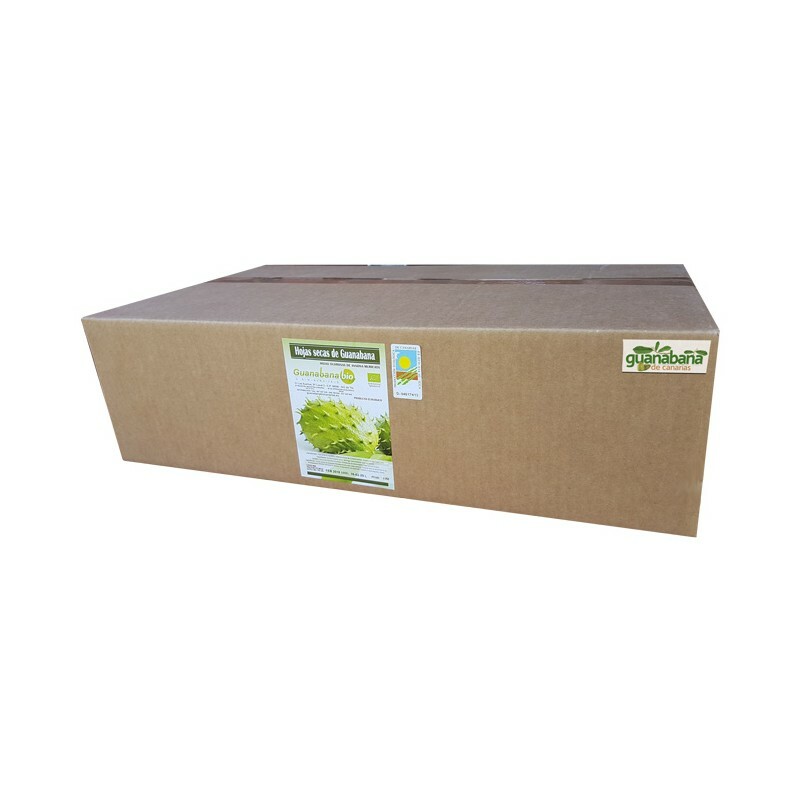 After being washed several times with osmotized water, are passed to a NATURAL drying area, which has a specific temperature that makes our leaves are first quality, while retaining its health active principles, structure and natural aroma. 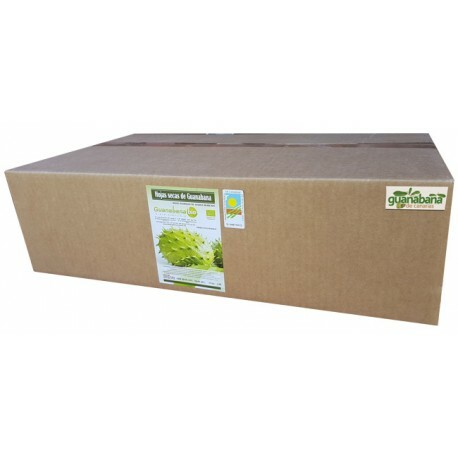 Upon completion of the drying process, SOURSOP leaves are reviewed one by one and packed by hand in box and each bulk box has a control numbered organic label, certifying that are 100% organic SOURSOP. Soursop is a tree that can reach between 8 and 10 meters high, being of tropical origin can not stand the cold and frost and therefore necessarily the only growing area in Europe are the Canary Islands, where our farms are the largest Soursop Europe farming with 9,000 trees, which is 100% ecological certified, as it is credited on each package with its control numbered certification label. Its foliage is not very abundant and its leaves are dark green, large, simple and thick. Infusion leaves complement each other very well with our body.